It's been a couple of weeks since I've posted a Freebie Friday but I have a GREAT one for you today! 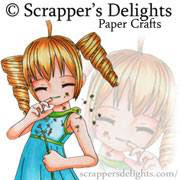 This week Scrapper's Delights is offering a fun freebie that I'm going to share with you! It's perfect for this time of year! It's called Poinsettia from Scrapper's Delights! Click HERE to get your Freebie! Then be sure and check back here tomorrow to see our new challenge! Also, don't forget you still have until Saturday about 2AM Central time to get in your submission for this week's challenge and sponsor giveaway! HIMCR #227 - ANY HOLIDAY! HIMCR #226 - Be Thankful! HIMCR #225 - Super Scraps Saturday! HIMCR #224 Chocolate Pie Garden!